Introducing the English translations of 8 selected research articles originally written in Chinese by Professor Yuan Yulin, Cognition-based Studies on Chinese Grammar is an essential reading for researchers in Chinese syntax. Yuan Yulin is one of the very first Chinese scholars who introduced cognitive sciences into the study of Chinese language some twenty years ago, and his work is well-known and highly regarded in China for its originality and theoretical contribution. The collection covers the core of his engagement with Chinese language studies, ranging from lexical exploration to grammatical discussion. 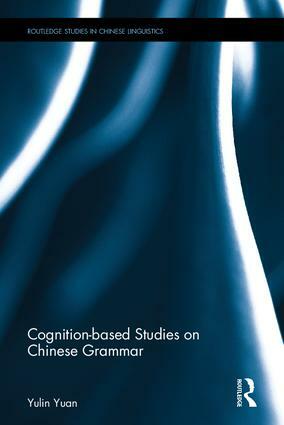 Cognition-based Studies on Chinese Grammar is designed for students or researchers who specialize in the Chinese language, contemporary Chinese grammar and cognitive linguistics. It can also serve as a reference book for instructors or teachers engaged in Chinese language pedagogy or in teaching Chinese as a second or foreign language. Yuan Yulin is a Professor in the Department of Chinese at Peking University, China. Wu Guoxiang is also in the Department of Chinese at Peking University, China.